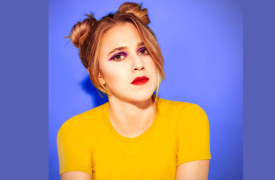 MariGo is a Los-Angeles based music producer, vocalist, and instrumentalist. "Classically trained as a vocalist and pianist, MariGo uses her masterful musicality to take her productions to fresh and unexplored territory. Drawing on hip hop, R&B, and indie rock influences MariGo weaves her tracks into a rich and playful tapestry of vibey, laid-back beats." Her music combines rich, clear vocals with ethereal electronic production and has been compared to music from Kimbra and Kaytranada. After years of training and performing in a classical capacity, Mari yearned for more creative freedom and different tools to write and perform her own music. In 2016, she began producing in Ableton Live, and has been releasing a steady stream of songs and beats ever since. She joined all-female record label, Unspeakable Records in late 2017. She recently released two new singles and has a second EP on the way! 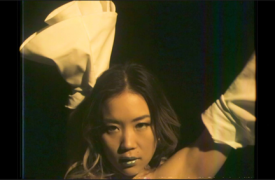 Born in Long Beach, singer-producer Kelleia (Kelley Kim) earned her Master’s degree in City Design and Social Science from The London School of Economics in 2013. She immersed herself in the London music scene, seeing powerhouse artists like the Yeah Yeah Yeahs and Beyoncé and in time realizing she was more interested in the stage than the classroom. After graduating, Kelleia traveled through India, Costa Rica and Colombia, writing fresh, intimate songs along the way. She hasn’t stopped since. 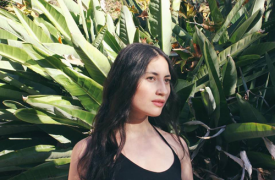 Now producing beats in her sun-filled Silver Lake apartment, Kelleia’s output explores love, lust, heartbreak and expressions of femininity both sacred and raw. She’s collaborated with producers including Jonny Joon, released tracks through Unspeakable Records and the Team Supreme collective, and plays her music out while performing and DJing at L.A. hotspots including The Bootleg Theater and The Ace Hotel Downtown LA. INKAROSE (Alicia Ramírez) is a visual artist, music producer and DJ, hailing all the way from Bogotá, Colombia. Initially influenced by her father’s eclectic record collection, Alicia decided to venture to Los Angeles and continue cultivating her love for aural and visual arts. Her sonic work depicts a fusion of electronic, hip-hop inspired beats, infused with organic textures and psychedelic tones. In 2017, Inkarose released her first self-titled EP, crafting original art-work and videos to accompany her tracks. She’s played multiple venues across L.A. both as a producer and DJ, and continues to musically and visually generate new artistic feats.